Fritware, painted over white slip under a transparent glaze. White body decorated with rows of black boats with large blue-striped sails; red and green scalloped spots on ground; blue spots on handle; greenish color inside. 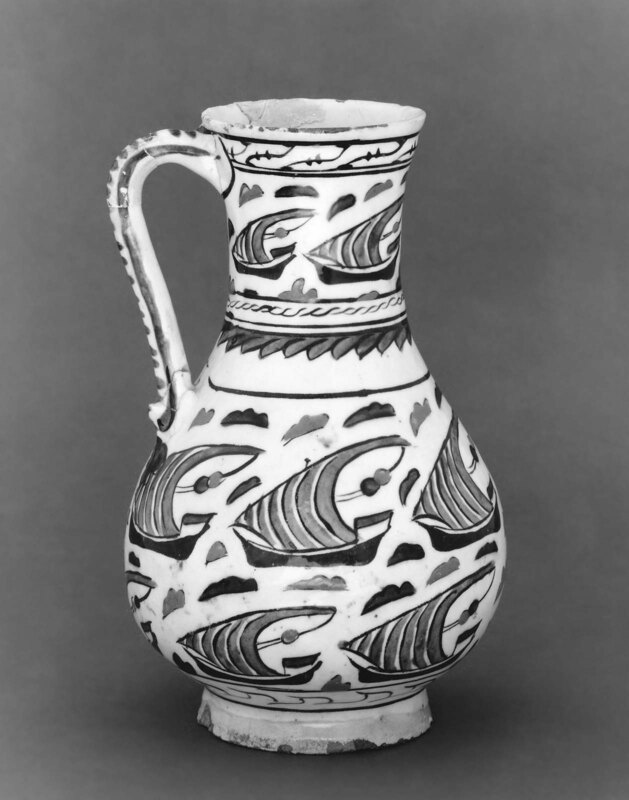 From the latter part of the sixteenth century into the seventeenth, Iznik tankards, bottles, dishes, and jugs were often decorated with fleets of dhow-like, lateen-rigged boats, their triangular sails typically sporting jaunty blue stripes. 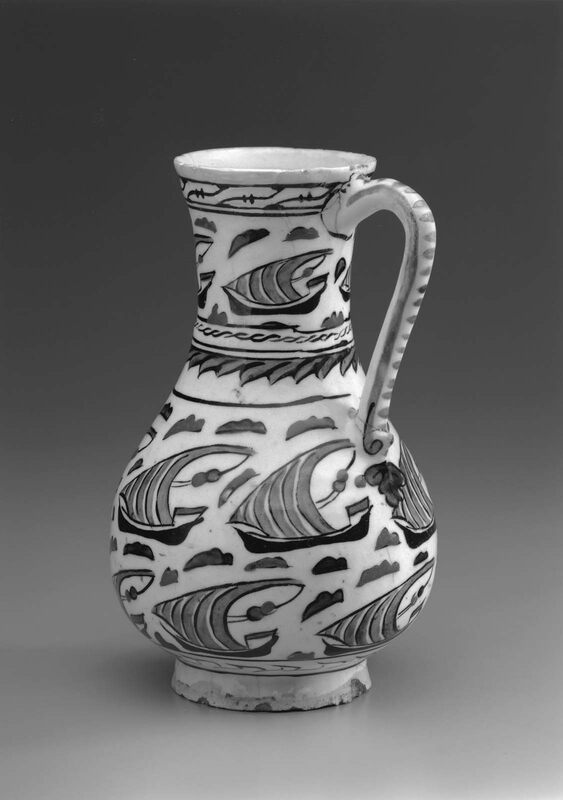 Irregular red and green motifs between the boats on this jug represent islands.